Does the Christmas season have you overwhelmed and in need of some quick tricks? 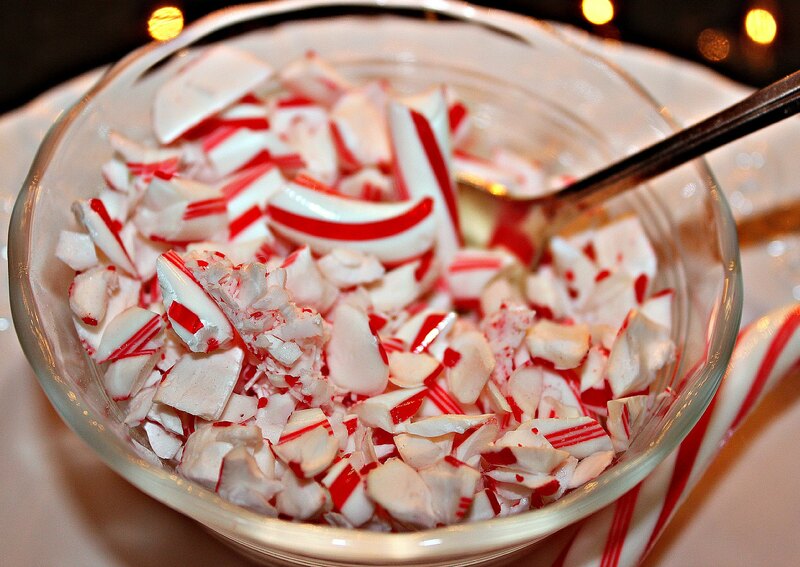 How about take some of that frustration from the traffic and long shopping lines and crush some candy canes? You will be glad you did! 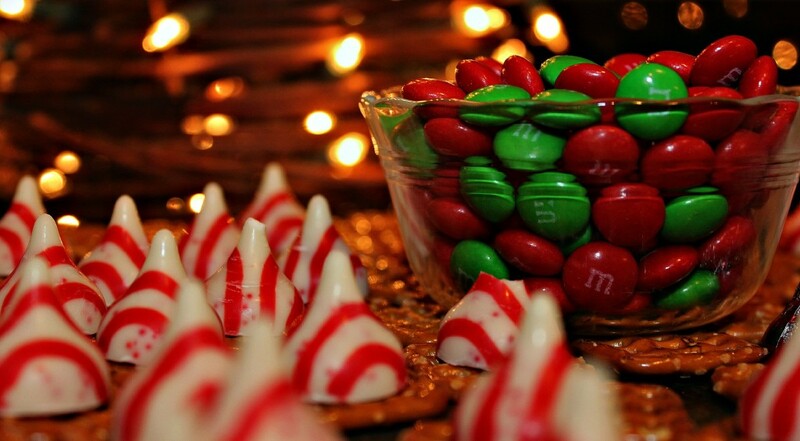 They make all kinds of simple treats look more festive. 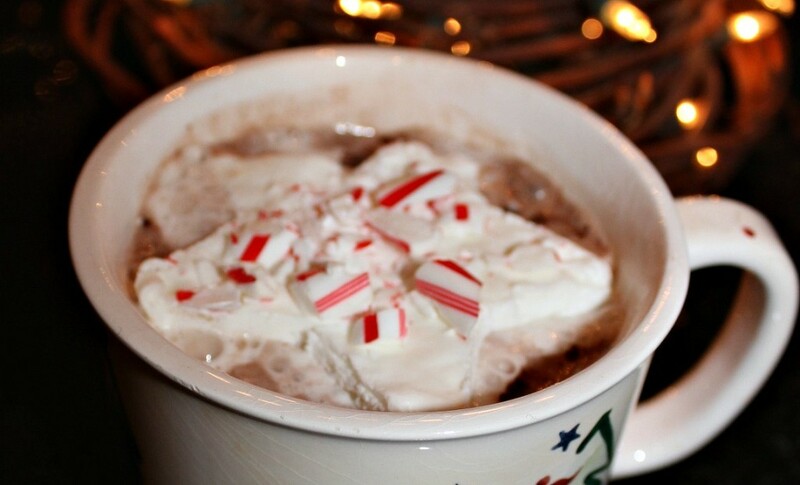 Sprinkle on Hot Chocolate, ice-cream, brownies and more! Want to really wow your cold guest when they come over? Freeze whipped cream with your favorite cookie cutter shapes! 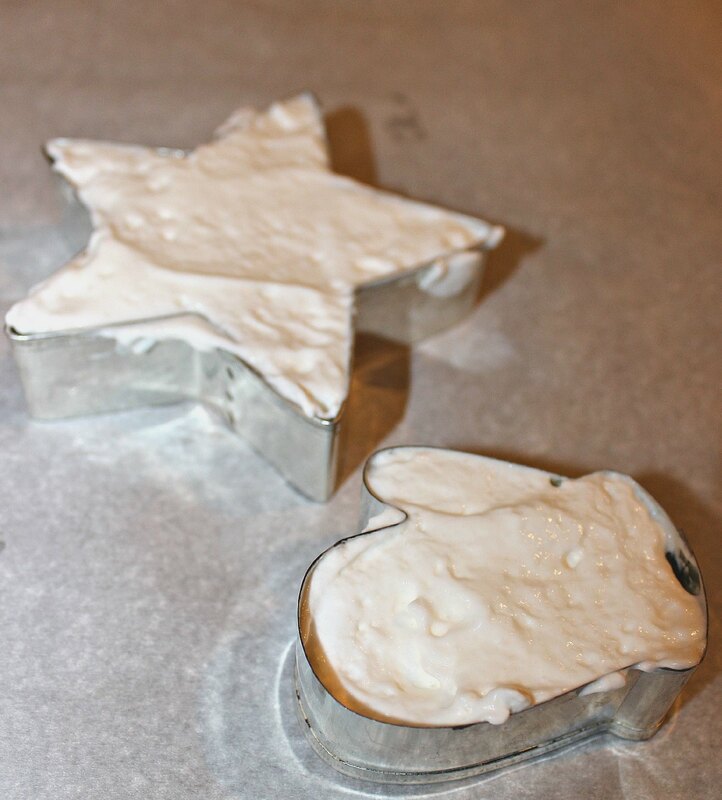 Spray into the cookie cutter, smooth with knife, and freeze. 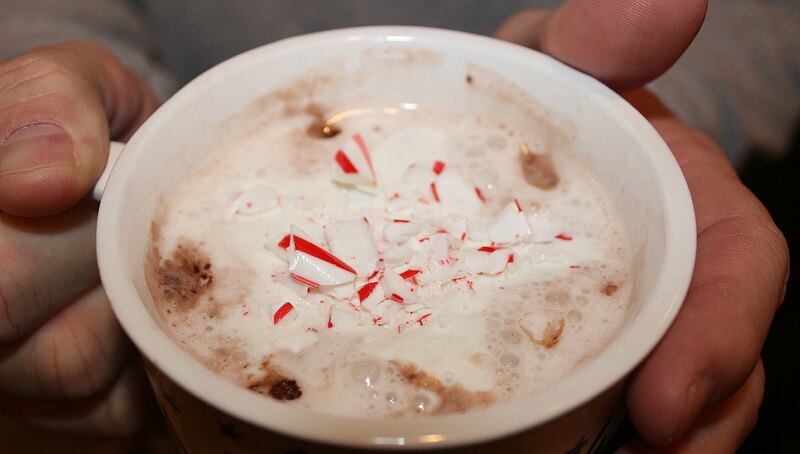 Pop them on top of a cup of hot chocolate and sprinkle with your crushed candy canes. Everyone likes something for free this time of year. Stop by your local Christmas tree farm and ask for some tree clippings. 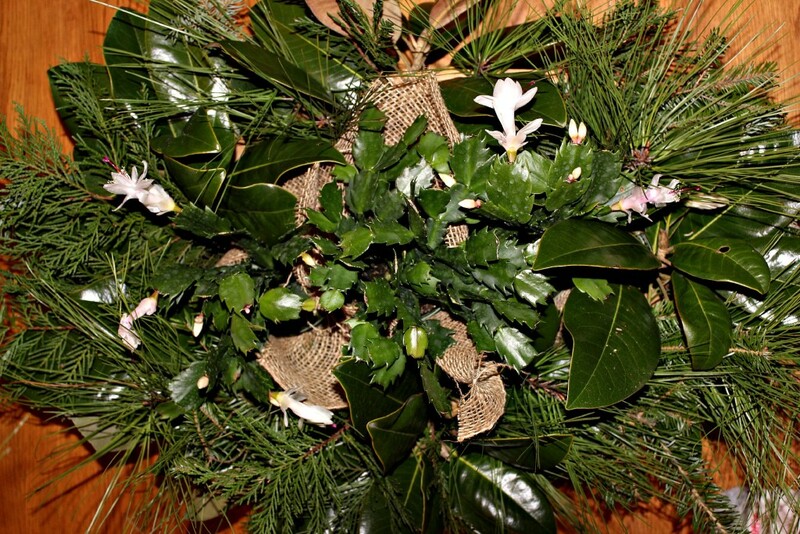 Not only will it make your home smell like Christmas, it is great to have around for decor. 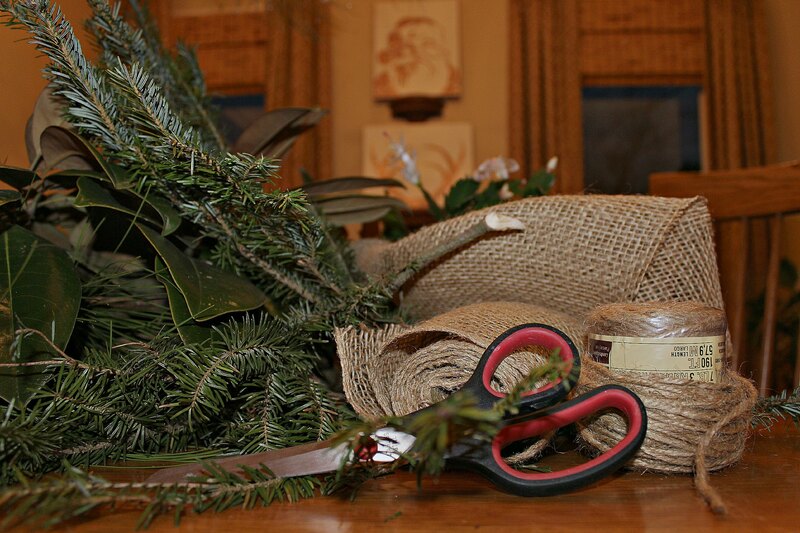 I like to keep burlap, twine, and greenery on hand this time of year. It is great to add a sprig of greenery to a wrapped present. Use Twine in place of ribbon, and well it comes in handy when you need a make a grocery store find a bit more special. 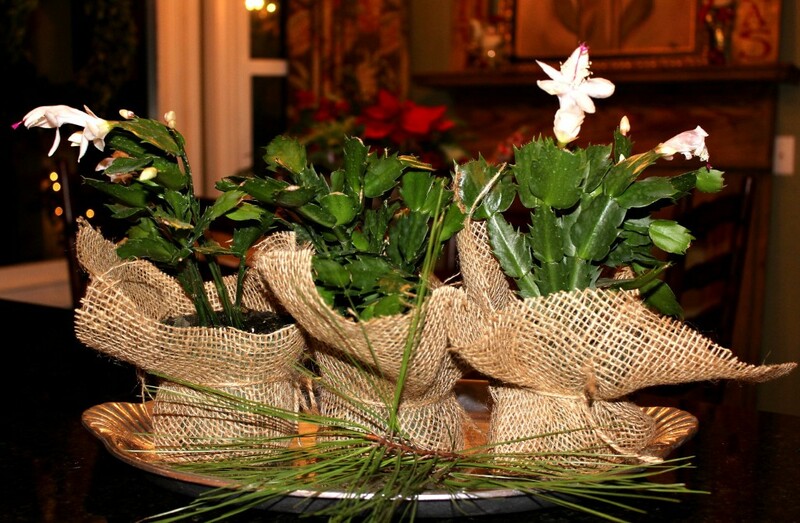 I bought these cute little Christmas cactus plants at my local grocery store. I took them out of the foil wrapping and rewrapped them in burlap, tied them with twine, and added a spring of pine from the yard and just like that centerpiece! For a fuller look, I added pine, cedar, and magnolia. This arrangement packs a big punch for little effort and even less dollars! Running low on energy and time but still want to make a Christmas Treat? 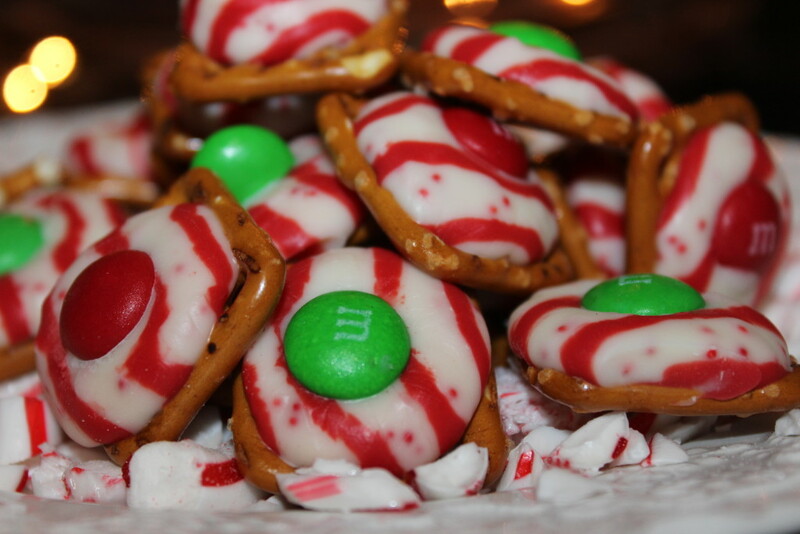 Keep these supplies on hand: Pretzel snaps, candy cane hershey kisses, and a package of red and green m&ms. 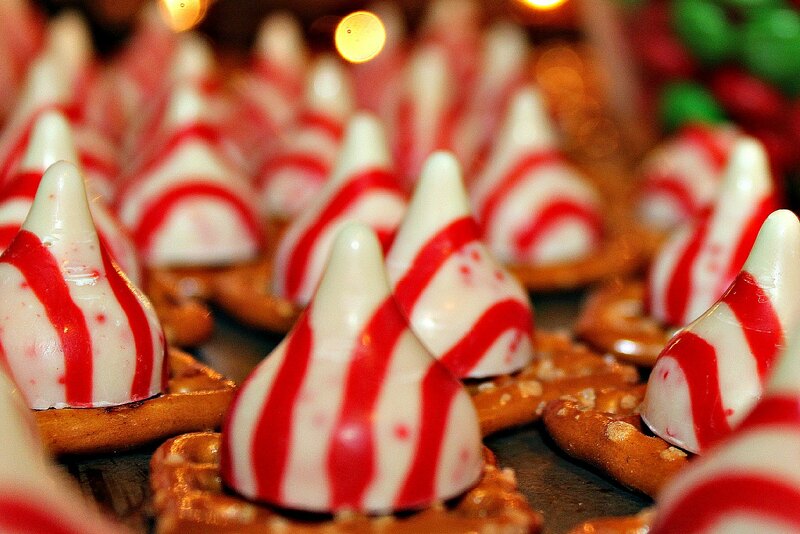 Place kisses on snaps and put in the oven just long enough to make kisses tender not melted. Then press an m&m on top. Place tray in fridge and cool. In just a few minute you are done. Dessert is served!